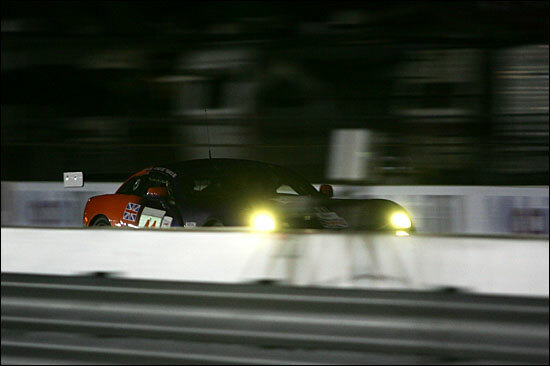 Sebring, Thursday Evening: With the development of the two Team LNT TVR T400Rs not yet complete, the straight sixes are a little down on power against the top line Porsches which provide the GT2 yardstick in the ALMS. No matter, Thursday – qualifying day – would provide a god given field leveller – rain! Team LNT was supremely confident that a wet circuit would give them an ideal opportunity to offset their current disadvantage with a combination of superior traction and driver ability. Sadly however the gods overdid it. It simply poured down with rain – all day. With a principally concrete surface, the track at Sebring floods easily and with an unremitting torrent of rainwater there was no time for the surface water to drain away. With standing water on much of the circuit the cancellation of qualifying was a foregone conclusion, the grid being decided by previous practice session times - which rather flattered the Porsche hordes, leaving both of the team LNT cars outside the top 10 qualifiers in the hotly contested GT2 class. With nothing to prepare for on track, the team members busied themselves in the paddock awning with pitstop and driver change practice – there are vital seconds to be won and lost in the pits and practice, as they say, makes perfect. A well drilled team can make up places in the pits that would be harder to gain on track, with every second counting, even in a 12 hour (or for that matter a 24 hour) race. 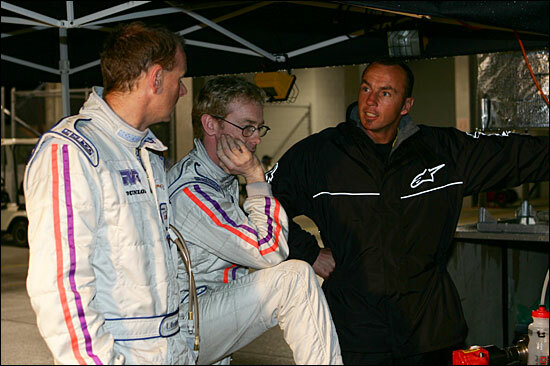 The rain eased off in time for the 90 minute night practice session though, during which all competing drivers must complete three laps at racing speed. #40 and #41 easily completed the task, getting ever quicker as the track dried out towards the end of the session. Both cars were grazing the top ten in class and were still on track right at the very end of the session – testing settings, components, tactics, strategy. 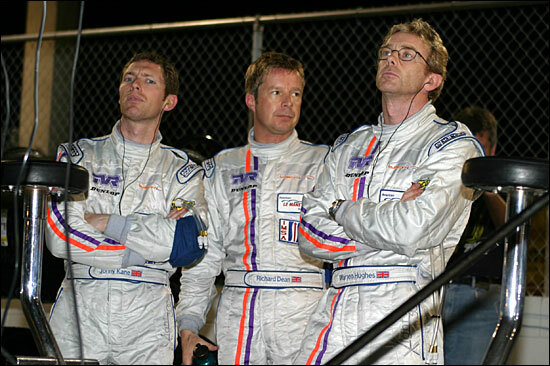 Jonny Kane (quizzical), Richard Dean (distracted) and Warren Hughes (focused) below. In the second image, Lawrence Tomlinson, Warren Hughes and Marc Hynes. A frustrating day at Sebring then, perhaps in particular for Team LNT - which had much to gain from a rainy day, but ended up losing not only the opportunity to shine in qualifying but also will now need to run both cars in Friday’s free practice session to scrub in race rubber - or maybe not. “We were hoping we could give everyone most of the day off in preparation for race day, but I guess everyone is in the same boat,” said Alan Mugglestone. With sunshine forecast for both Friday and Saturday it will be hot work in Florida, but the rewards on offer are clear – an opportunity to beat the world’s best GT2 cars and drivers and the possibility that a strong performance will catch the eyes that matter. 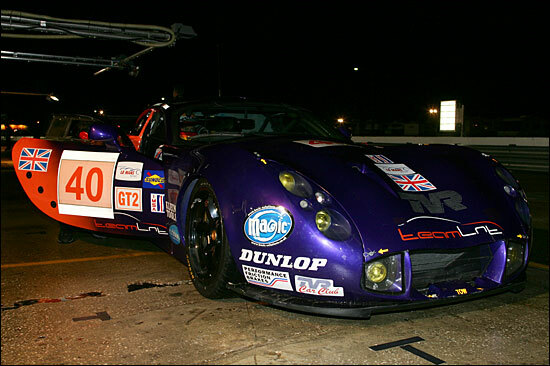 Sebring success is noticed worldwide – but perhaps particularly in France!